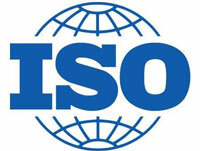 Essentially ISO means equal, simple as that! In the world of business it means the 'International Organization for Standardization'(sic), and no doubt the reason you are looking at this page is because one of two things... either, you have decided that you want to set yourselves apart from your competitors by attaining the worldwide recognition that comes with ISO accreditation, or more likely, you need this because your client or potential contract requires you to have it! Let's be honest, what other reason is there? So, where do you begin? Well, why do you want it? Most likely, it has become a requirement of key clients, or perhaps you have simply decided that it could become a key element in the way you conduct your activities. (By understanding the context of your business perhaps?) – see, you are already on the road to achieving certification! Well, what standard do you need? 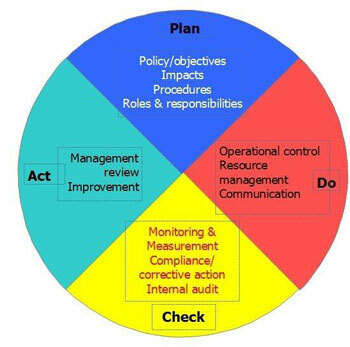 quality, environmental, OHSAS, Information Security? Understand firstly what you need, and equally, where do you want it to apply? Under the annexe SL format, all standards are now becoming more compatible and easier to dovetail together – so whatever standard you are seeking, you will probably find that a lot of what is needed, you may already be doing it! The reality is that whilst all industry sectors require different sets of processes that are bespoke to their size & type of business, the actual systems required to manage them can be very similar. It's really only the required level of documentation that really differs and then, this is only to the extent necessary to maintain effective control. They days of top heavy documented systems are, happily, gone! Levels of documentation will naturally vary, depending upon the complexity of the activities being conducted, however, once again, you are probably already producing most, if not all of this documentation. A small company with a very basic system may indeed only require a minimal amount of work to create & gain certification, whilst a larger organisation will require significantly more. Experience tells us however, that whatever the size of the business, or whatever their own personal opinion of ISO, organisations actually want to understand it a bit more! They want to understand what ISO is all about, they want the whole process to be relevant and mean something to their staff - after all, aren't the workforce the people that have to implement & work to it. The main thing is that it should not have to involve a consultant coming in and re-writing all of your work instructions & changing the way you do things. If they say they do – well, perhaps you may need to think again. Similarly, an organisation that claims they can give you a pre-written system, conduct an internal audit AND then issue you with a certificate, sometimes valid for ten years? whilst sounding great, may not be all it seems. Now, it doesn't necessarily mean that the system is no good – it just means that it won't be recognised as being an accredited certification. When it comes to having your ISO system certified, you should be aware that it must be accredited to actually have any value! The sad reality is that there are many organisations who have systems that they believe are fully accredited, when in reality they have basically certificates they could have printed themselves. In order to have a meaningful system, that is universally recognised, it has to be certified by a UKAS accredited certification body. The International Organisation for Standardisation recognise only one accreditation body in each of the main industrial countries. 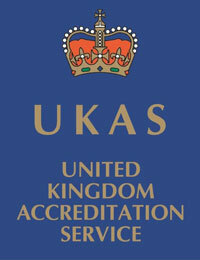 UKAS are the authorised accreditation body in the UK. THE ONLY ONE! So, where do quality iso services ltd fit in? We are a small friendly independent consultancy company offering clients affordable options to ensure that whatever certification is desired - it is achieved! We have fully qualified Lead Auditors experienced in the implementation and support of various ISO standards, namely ISO 9001 (Quality), ISO 14001 (Environmental), ISO 27001 (Information Security) & OHSAS 18001 / ISO 45001 (Occupational Health & Safety) within various industries. We can also provide a ISO 9001 system tailored towards your Food Safety needs. All of our management systems can be hosted online by us if required and are free to update. In addition they can include various in-built systems that may be required, (including feedback reporting system, training records etc). All of our hosted systems are fully protected and located within secure managed data centres in the UK, ensuring high level protection and minimal disruption or downtime (if any). We can offer our clients a fully bespoke support service designed to support you through the initial ISO certification process. This includes gap analysis, internal audits prior to assessment, document review, as well as support at the stage 1 and stage 2 certification process if desired. Why, we'll even guide you through your initial management review of the system to ensure overall compliance. We can provide training and consultancy in relation to the operation of the management system as well as consultancy in the overall ISO process. This gives you all the benefits of a full-time Quality Manager but at a fraction of the cost! Is your system UKAS accredited?